Sats – what are they? Sats (Standard Assessment Tests) measure children’s educational achievement in years 2 and 6, with the ultimate aim of holding schools to account for the attainment of their pupils and the progress they make. Sats - when do they take place? These assessments take place in the May of year 2 (age 7) and test children’s ability in maths and reading (plus an optional test in English grammar, punctuation and spelling). The tests are informal, so they aren’t timed and they take place in a normal classroom situation. From 2023, they will be made non-statutory, so schools will choose whether to administer them or not. These assessments take place in the May of year 6 (age 11) and are more formal tests in English (grammar, punctuation, spelling and reading) and maths. Each paper is 45 minutes long. Sats – how are they marked? Scores are given on a scale of 80 to 120 - with a score of 100 or more meaning a pupil is meeting the expected governmental standard (but this equates to different marks for each paper). Key stage 1 Sats are marked by teachers within the school; key stage 2 Sats are sent away to be marked externally. Sats – do parents get the results? For Key stage 1, you probably won’t get your child’s actual Sats score unless you ask for them, but you will be told whether your child is working at the expected standard as part of their end of year report. For key stage 2, parents get their child’s scaled score in July and are told whether or not they reached the expected level. The results of Key stage 2 Sats are also published annually in the Department of Education’s primary school league tables, where an online facility enables users to compare schools against other schools, as well as against the national average. Can you fail your Sats? The government says Sats are not about passing or failing, but instead show the level your child is working to. Critics say that not reaching the expected level equates to failure in many parents’ (and children’s) minds. In 2017, almost 40 per cent of primary school pupils did not meet the government's expected standard in key stage 2 Sats. Sats have been widely criticised for causing children undue pressure at a young age. One study from 2017 found that cases of stress, anxiety and panic attacks had increased in more than three-quarters of primary schools over the previous two years. Schools leaders in the same study reported an increase in fear of academic failure and depression. Some studies also show that Sats affect the well-being of teachers. Using Sats results as part of a school’s accountability measures has also been criticised for creating a ‘high-stakes’ system of testing which is damaging teaching and learning in primary schools. 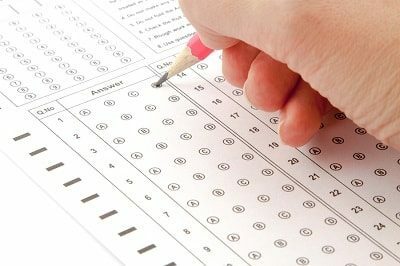 While many parents use tables showing overall Sats results to help choose a primary school for their child, some education experts warn that Sats results only show how well a particular year group of pupils have performed and can be more to do with the intake than the teaching and learning. It’s also important to remember that Sats say nothing about the wider picture of what a school offers – for example, sport, arts, attitude towards kindness, pastoral care and extracurricular activity. There have also been arguments that Sats tables encourage schools to compete against one another, rather than working together in local areas, and that they can lead to middle-class parents pushing to get their children into top-performing schools, thereby driving down standards even further in poorer-performing schools. Although Sats test results only form part of Ofsted inspection reports of schools, a report by MPs in 2017 claimed that too many focused too heavily on English and maths, at the cost of other subjects, notably science. Many believe Sats are to blame. Are Sats results used by secondary schools? Secondary schools are told their incoming pupils’ scaled scores. Many secondary schools use these to help with setting and streaming, as well as working out how to best teach their new cohort of year 7s. But secondary schools are mindful that Sats only measure ability in English and maths (and only certain fragments of those subjects) and consequently most do their own tests on year 7s too.